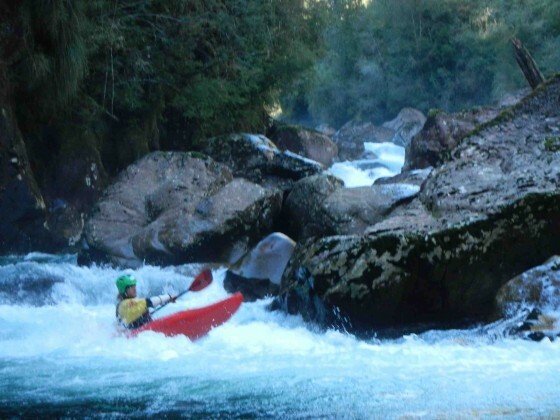 This river also called the Rio Nalcalhue (and in its lower sections the Zahuil or Huanehue) is only boatable after extremely heavy rains or during winter high water season. The river is born in the Cordillera de Quinchilca whose largest peak (Cerro Colohue) is 1632 meters above sea level. 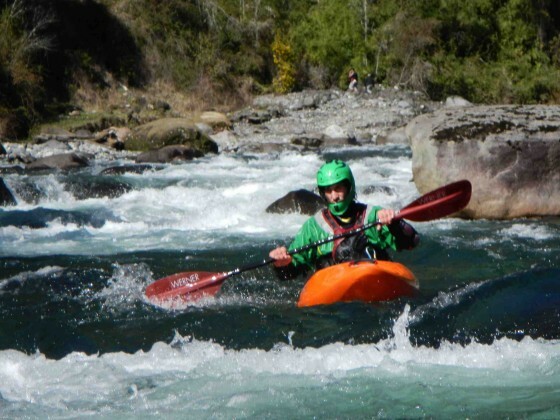 The river flows from East to West and drains into the Rio Huanehue which also drains Lago Calafquen into Lago Panguipulli in Chile´s 14th Region de Los Rios. 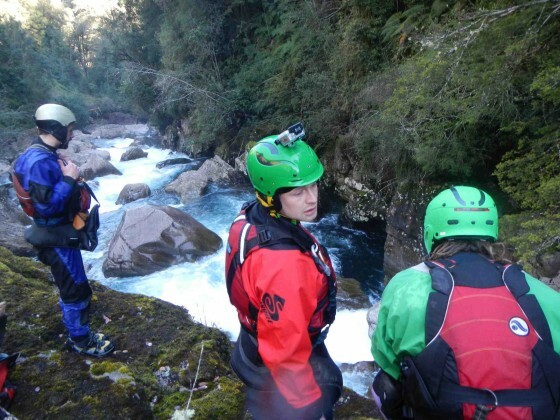 It is only 1 hour and 15 minutes from Pucon to the takeout and 25 minutes from takeout to the lower Fuy. 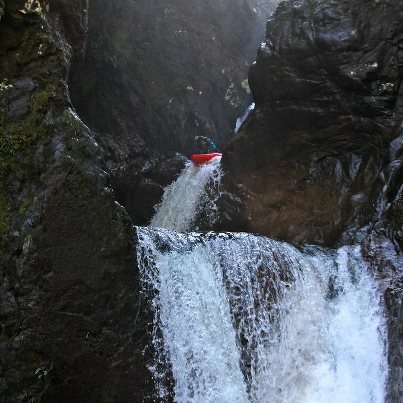 Within 400 Meters of put in the Rio Panco enters from the right then 2 km below that the Rio Los Ñadis from the left and finally the Rio Ranguiñtulelfu from the right 2 KM lower. From this point it is less than 2 km to takeout on river left. The river is mostly class 2-3 with one long rapid 500 meters long that we decided to portage. Not possible to take a raft from the bridge put-in. From Pucon travel to Villarrica then south to Lican Ray. Follow road towards Panuipulli for 15 km. At first stop sign in Huitag go left and follow road 5.1 km to another stop sign. Go left on T-225 towards Calafquen for 3.3 km then turn right on gravel road and follow south for 4.7 km to stop sign at paved road. Go left and shortly take the Y to the right towards Choshuenco. Almost immediately you cross Puente Huanehue. This is the simplest takeout point but involves an additional 6 km including some some flatwater. To reach the upper takeout as well as the road to the point in cross the bridge over Huanehue and make immediate left on gravel roads towards Cayumapu Bajo. Go 2.4 KM then make a left on a narrow dirt track between two fences and follow 900 meters to the river. To reach put in return 900 km to gravel road and turn left. Follow 2.7 km until road merges into another in Cayumapu Alto. Go left and follow this road approxiamtely km to wooden bridge over the Mañio.